Ford fan Alex Robbins might have a Capri Injection safely parked in his garage, but there’s still a big place in his life for the Vitesse. I have always had a massive soft spot for the Vitesse Sport, ever since I was eight years old and my dad owned an H-reg 820i. You know how it is – you always lust after the top-of-the-range version of your dad’s car, don’t you, and so it was with me. At the time, the Mk2 was current, and the brochures boasted of this model which had 197bhp and a 0-60 time of 7.3 seconds, all in a car which, to my eyes, was both handsome and classy. I never shook that yen, despite a bad experience with a particularly dodgy example of an early Vitesse back in 2005. In April 2006, I had just started a forum called Overbore, intended for cars which were ‘not the usual’, with a friend of mine. We had arranged a meet to get some footage which we hoped to turn into a YouTube vid, and to get some of the cars we had on the site together. My co-conspirator, Rich, had his red Citroen BX 16v there, and I had brought along my Capri. Among other cars, someone had turned up in this lovely old British Racing Green Vitesse Sport. This guy was a friend of one of the forum’s members, and had come along to see what it was all about. 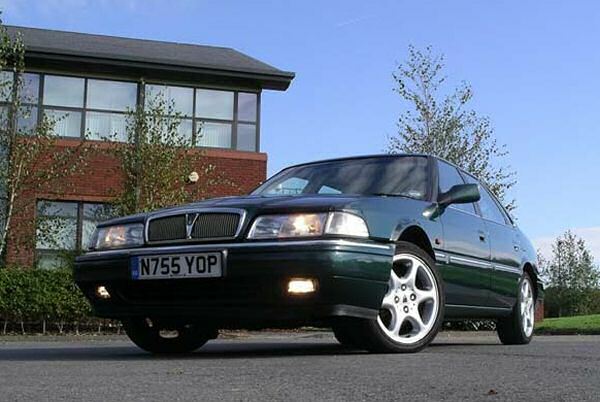 Naturally, I made a beeline for the Rover as soon as I saw it, and discovered that N755YOP basically the personification of my ideal Vitesse Sport – British Racing Green, with the Lux pack, all deep-pile green carpets and cream leather with green piping. And it was totally standard and unmolested. I was a great fan, and told the owner so – and although I was in no position to offer to buy it, I took great pleasure in admiring it from a distance that day. Imagine my surprise when, a month or so later, another friend of mine (who had nothing at all to do with Overbore, I should point out) popped up on MSN Messenger and told me he’d bought a new car. 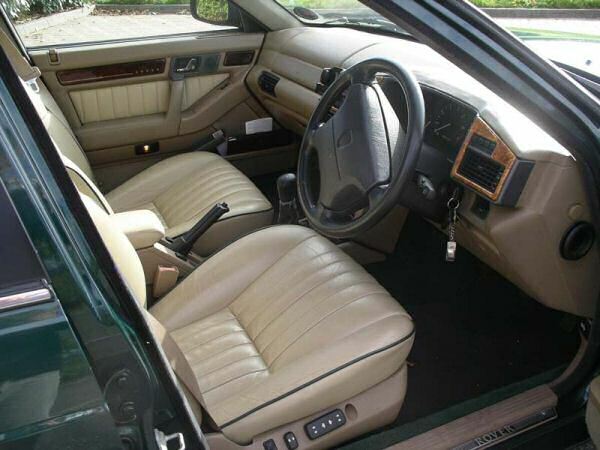 It was a BRG Vitesse Sport with a cream leather interior. Of course, you know what’s coming next – yes, it was YOP. I explained to Ross that I already knew the car, and after marvelling over the small world we shared (oh come on, you have to say it! 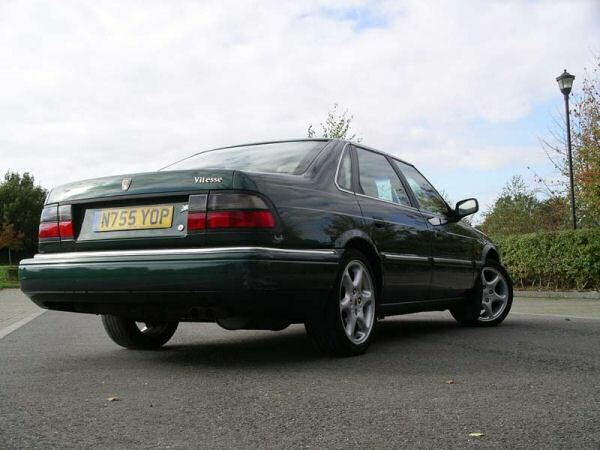 ), Ross told me that the car had had only three owners from new, a nearly fully-stamped Rover service history, a reasonable 98,000 miles on the clock, and was rattle- and whine-free. And he’d picked it up for a bargain sum, too. I told him I loved it, and would be very interested if he were ever to sell it. He promised to give me first refusal. Fast-forward four months. Ross’s long-term love of 4x4s was kicking in again, and he was longing for a Discovery – just at the time when my Xantia daily drive was starting to show her age. Since Ross had bought the Rover, he’d replaced the leaky manifold gasket, done two services, flushed the coolant, changed the gearbox oil, replaced the front brake discs and pads, and done a number of other minor jobs besides. What had once been a good car was now a great one. But Ross needed rid if he was to indulge his 4×4 fetish, and so he was asking no more than what he’d paid for it. It was a steal. Now, at the time I was jobless and penniless, so a near-200bhp executive car was not the sort of thing I should have been buying. But here, being offered on a plate, was the Vitesse Sport I’d always wanted, in one of the colours I’d always loved and with the plushest interior out there. And the coincidences that had brought us together had been quite timely, to say the least – so I decided to take the plunge. A deal was done, and I drove home happily. And not slowly, either. N755YOP was first purchased from Central Garages in Torquay, which is now a Mazda franchise. She still has the original dealer badge on the tailgate, in the numberplate recess, as well as a sticker bearing the dealer’s logo in the front windscreen. Sadly I haven’t got any documentation on her first two owners, but it’s clear that they looked after her, getting each service done at a franchised Rover dealer. I am her fifth owner, and while she still needs a few bits done (as will any 800, I feel), and has a couple of scrapes, I still think she’s one heck of a car for the money.